The Chesapeake Bay is the largest estuary in the United States and one of the largest and most productive in the world. Being an estuary is a place where salt and fresh water mix amid the ebb and flow of tides. This seemingly simple combination makes for an unusually rich and complex natural environment blessed with a great abundance and diversity of plant and animal life. 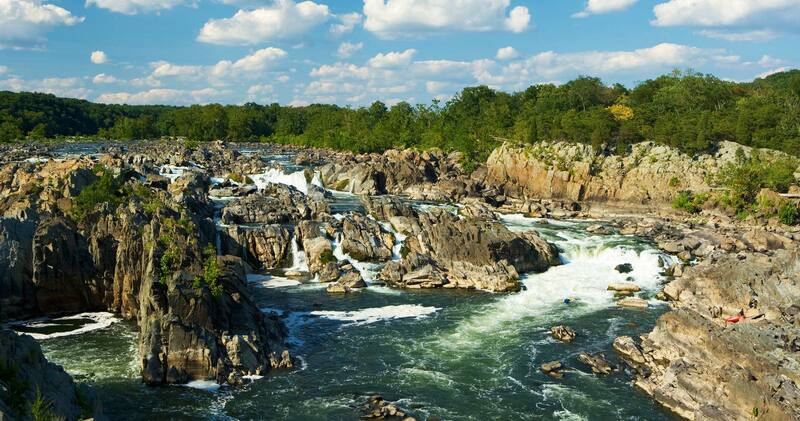 For thousands of years the Chesapeake Bay and its tributaries have attracted human settlement. The Bay influenced where and how people lived in its watershed. Today’s Chesapeake Bay is the product of the dynamic interaction of people, place, nature, and the water over time—an interconnectedness that continues to shape it. Chesapeake Bay is the largest estuary in the United States and the third largest in the world. But that’s not the only amazing thing about the Bay. Did you know that it holds about 15 trillion gallons of water and that its shoreline meanders about 12,000 miles? The Bay is about 200 miles long, stretching from the mouth of the Susquehanna River at Havre de Grace, MD, to the Atlantic Ocean at Virginia Beach, VA. The Bay’s width ranges from 3.4 miles near Aberdeen, MD, to 35 miles near the mouth of the Potomac River. The Bay is surprisingly shallow. Its average depth, including all tidal tributaries, is about 21 feet. A person who is 6 feet tall could wade through more than 700,000 acres of the Bay and never get his or her hat wet. A few deep troughs running along much of the Bay’s length reach up to 174 feet in depth. These troughs are believed to be remnants of the ancient Susquehanna River. The Bay and its tidal tributaries have around 11,684 miles of shoreline—more than the entire U.S. West Coast. The surface area of the Bay and its tidal tributaries is 125 billion square feet, or around 4,480 square miles. The Bay supports more than 3,600 species of plants, fish and animals, including 348 species of finfish, 173 species of shellfish, and over 2,700 plant species. 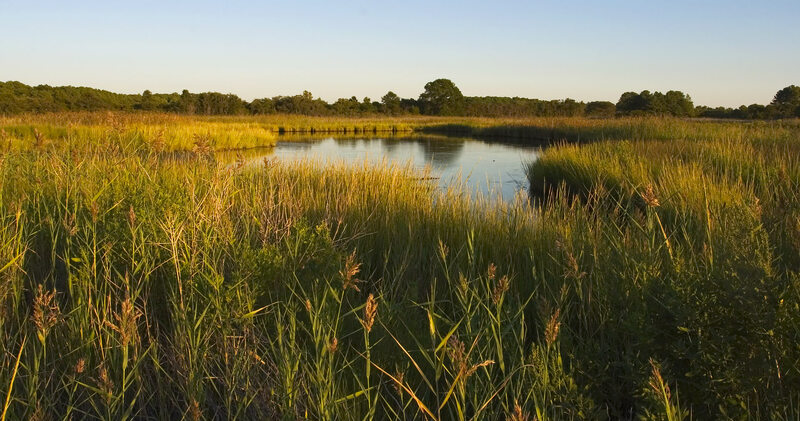 The Chesapeake is home to 29 species of waterfowl and is a major resting ground along the Atlantic Flyway. Every year, an estimated one million waterfowl winter in the Bay region. Since colonial times, the Bay has lost half of its forested shorelines, over half of its wetlands, nearly 90 percent of its underwater grasses, and more than 98 percent of its oysters. The Bay receives about half its water volume from the Atlantic Ocean. The rest drains into the Bay from an enormous 64,000-square-mile watershed. The Chesapeake Bay watershed covers 64,000 square miles encompassing parts of six states—Delaware, Maryland, New York, Pennsylvania, Virginia and West Virginia—and the entire District of Columbia. 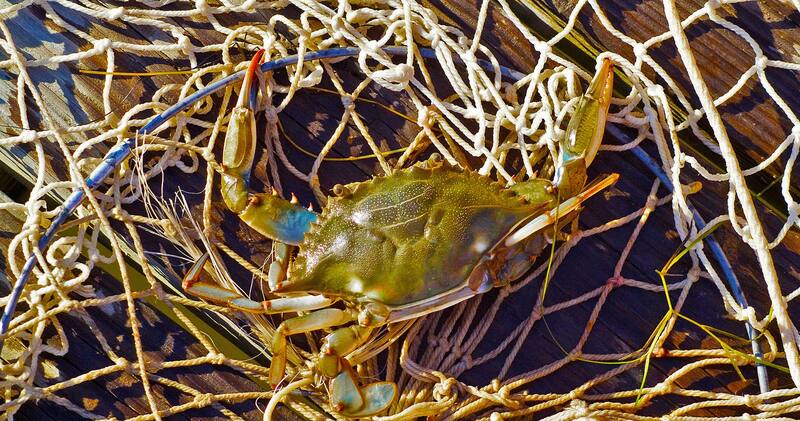 You could live more than 100 miles from the Chesapeake Bay and still be in part of its watershed. There are about 150 major rivers and streams in the Bay watershed. The Susquehanna River provides about 50 percent of the fresh water coming into the Bay—an average of 19 million gallons of water per minute. The ratio of land area drained by watershed to the volume of water in the Bay is 2700:1. This is the largest land-to-water ratio of any estuary in the world—ten times greater than its closest rival, the Gulf of Finland. Nearly 17 million people live in the Chesapeake watershed, and the population is growing by roughly 157,000 each year. That’s a lot of people, and all the water they use for drinking, recreation, industries, schools, and other business ends up in the Bay. The actions of all those people in the watershed have a significant influence on the health of the Bay.